CGIAR is a global research partnership for a food-secure future. CGIAR science is dedicated to reducing poverty, enhancing food and nutrition security, and improving natural resources and ecosystem services. The Collaborative Platform for Gender Research was launched in 2017 and aims to support priority setting for gender research, strategic partnerships, capacity development, and collaboration between and among CGIAR programs, Centers, and partners. Priorities are: Gender, landscapes, and rural transformation // Gendered consequences of agricultural research for development efforts // Gender, technologies, and institutions // Joint ownership and decision-making. Data2X aims to improve the quality, availability, and use of gender data. Partnerships with ILO, Worldbank, FAO, and UN agencies focus on specific aspects of gender related data collection (SDG attainment, use of Big Data, financial inclusion, work and employment). Though chemicals/toxics is not directly addressed yet, the disaggregated data provides useful background information about occupational status, geographical dispersion and other factors (mobile phone coverage/use) that are linked to questions of information and knowledge about chemicals management. ChemSec International Chemical Secretariat 2015. The 32 to leave behind: The most well-founded list of EDCs relevant for REACH. GEF – The Global Environment Facility, World Bank Group 2015: Mainstreaming Gender at the GEF. GEF – The Global Environment Facility 2009. Cleaning up: Ridding the world of dangerous chemicals. Focussing on Persistent Organic Pollutants (POPs), the document focusses on national “clean up” projects under the impact of the Stockholm convention. It also adresses gender related human health aspects of exposure to POPs. FAO – United Nations Food and Agriculture Organization & UNEP BRS Conventions 2015: Gender Heroes: from grassroots to global action. A collection of stories featuring gender perspectives on the management of hazardous chemicals and wastes. STAP – The Scientific and Technical Advisory Panel of the Global Environment Facility 2012. GEF Guidance on Emerging Chemicals Management Issues in Developing Countries and Countries with Economies in Transition. A STAP Advisory Document. Global Environment Facility, Washington DC. Focussing on Emerging Chemical Management Issues (ECMIs), the report also analyses gender specific effects of exposure and impacts for different chemicals. It continues to assess possible trans-boundary issues as well as priorities for intervention. UNDP – United Nations Development Programme 2007: Chemicals Management: The why and how of mainstreaming gender. The report discusses the importance of chemicals management for sustainable development, the gender-related differences in exposure and related health-effects, and defines strategies/processes for UNDP as well as policy-makers on how to integrate gender aspects into sound chemicals management. A Multi-stakeholder approach is explicitly encouraged. UNDP – United Nations Development Programme 2012: UNDP Guide for Integrating the Sound Management of Chemicals into Development Planning. Gender Mainstreaming is considered an integral part of mainstreaming sound chemicals management – as early as during the project mobilization phase. The guide refers to SAICM as the “the global strategy and policy that has been adopted by governments and stakeholders to promote the safe management of chemicals” (8). Because of its publication date, the report links SCM to the MDGs, which nevertheless provides insight into how gender related aspects of chemicals management can be identified within broader goals and targets. UNDP Environment and Energy Group 2011: Chemicals and Gender. After discussing the importance of sound chemicals management for sustainable development and the relevance of specifically including gender aspects in policy making and programming for sound chemicals management, the document lays out the most important factors for gender specific differences in health effects and exposure. Brief explanatory boxes and scenarios provide information and insight into possible interlinkages and socio-economic side effects as a result of chemical exposure. UNEP – United Nations Environment Programme 2016: Global Gender and Environment Outlook. The Critical Issues. The Global Gender and Environment Outlook (GGEO) combines gender-based assessment frameworks with the traditional environmental assessment approach of the Drivers-Pressures-State-Impacts-Responses (DPSIR) methodology. With regard to chemicals it specifically addresses issues of sustainable consumption and production, linking the exposure to chemicals to higher prevalences of breast cancer for women and subfertility and testicular cancer for men. By linking norms of feminity and masculinity to consumption patterns the documentfurthermore points to the important issue of “gendered environmental problems” and opportunities to combine approaches that foster environmental sustainability and gender equality. UNEP – United Nations Environment Programme 2013: Global Chemicals Outlook – Towards Sound Management of Chemicals. This report gives a comprehensive overview of trends and indicators of the chemical industry as well as an analysis of the respective economic implications and a discussion of instruments and approaches to achieve a sound management of chemicals. By including production and consumption data, discussing aspects of environmental releases and issues of recycling as well as human health effects and chemicals in consumer products it covers a wide range of issues. Specific aspects of women’s exposure to chemicals are mentioned throughout the report with a special emphasis on case studies in different developing countries and countries in transition. IUCN, UNEP and WEDO 2007: Gender Plan of Action. A guide based on the UNEP Gender Plan of Action. WECF – Women Engage for a Common Future 2017. Plastics, Gender and the Environment. Findings of a literature study on the lifecycle of plastics and its impacts on women and men from production to litter. WECF – Women Engage for a Common Future 2016. Women and Chemicals. The impact of hazardous chemicals on women. A thought starter based on an experts‘ workshop. WHO – World Health Organization 1999: Women and Occupational Health: issues and policy paper for the Global Commission on Women’s Health. Women20 2017. Implementation Plan: Putting Gender Equality at the Core of the G20. 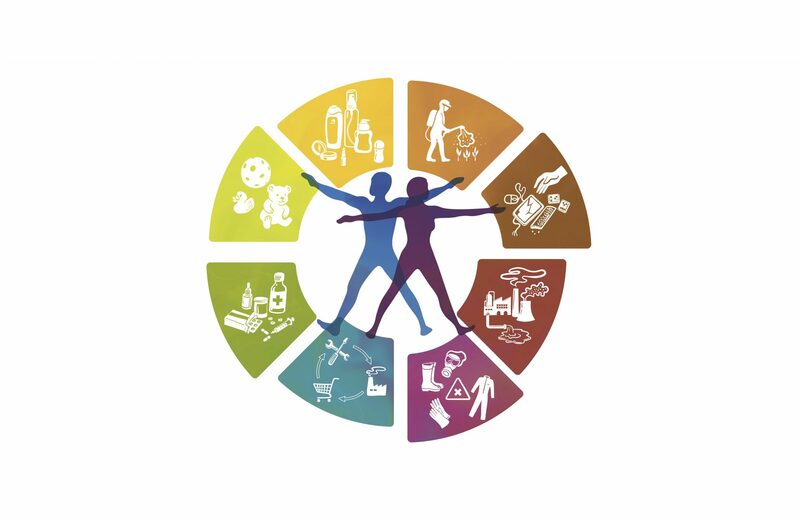 Though focussing on the economic and participatory implications of gender mainstreaming and not directly questions of chemicals management, the position paper includes important recommendations and specific indicators to increase gender equality within the G20 process. This provides useful interlinkages to the integration of gender related aspects to international chemicals management.